Simplify your life! First Mid Online Banking allows you to instantly obtain the account information you need at any time, so you can effectively manage your personal finances from the comfort of home – or anywhere else you have computer access. Watch the video tutorials to see how quick and easy managing your accounts can be! Click here to enroll in online banking or Contact Us for more information. Click here to view a list of web browsers supported by our Personal Online Banking platform. If you’ve forgotten your password, simply call us for assistance at 1-800-869-1422. We’ll get you going again in no time. 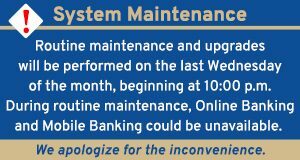 It is important that our contact information for Online Banking customers is current. Please take a moment to review your information under the “PROFILE” link within your Online Banking account to verify that your email address and other contact information is up-to-date. Additional information is available for Quicken and QuickBooks Users. If you were registered at mint.com prior to our Personal Online Banking Conversion, you will need to re-enroll at mint.com for the service to link to the new online banking system. First Mid helps you spend less time paying bills, so you have more time for more enjoyable activities. With Online Bill Pay, you’ll no longer have to write checks, address envelopes or purchase stamps, and you can be confident that your payment will get where it’s supposed to go. Pay e-bills to anyone in the U.S. If you’ve forgotten your password, call Customer Support at 877-888-5629. We’ll get you going again in no time. *No Charge with Premier Checking, Classic Checking, Interest Checking, Basic and Basic Student Checking. Accounts no longer offered at First Mid may incur a monthly charge of $5.95.